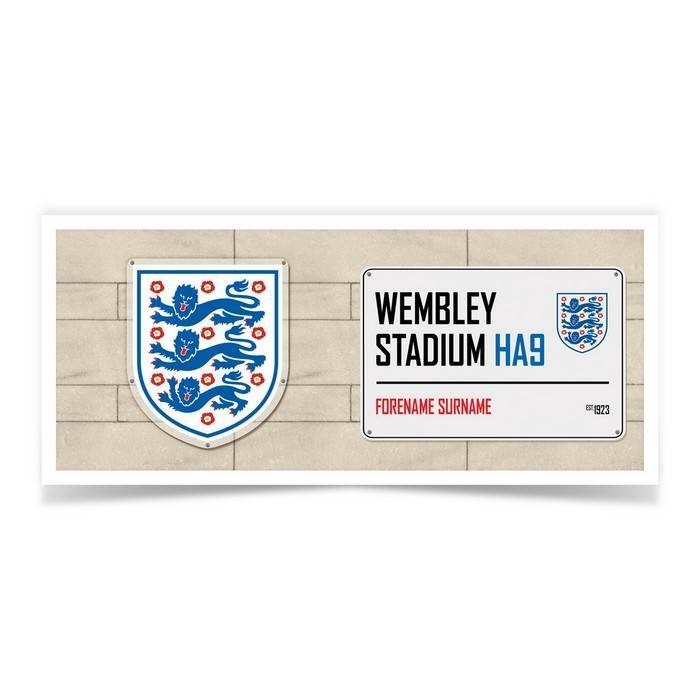 The Personalised Official England Street Sign Mug is a fabulous present for any England fan, and is approved and fully licensed by the FA. You can personalise the mug by using up to 12 characters each for the first name and surname. 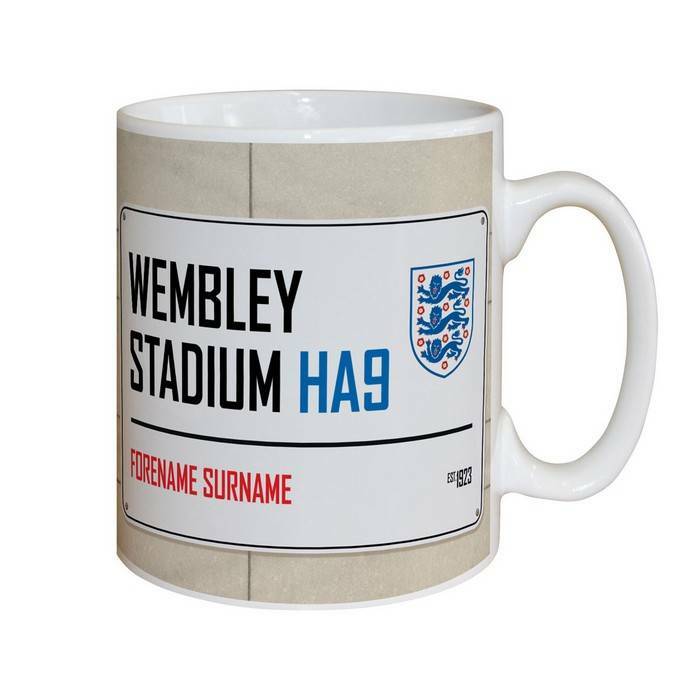 We merge your chosen Forename and Surname onto the mug underneath the Street sign ‘Wembley Stadium HA9’ A street sign that any England fan will recognize. 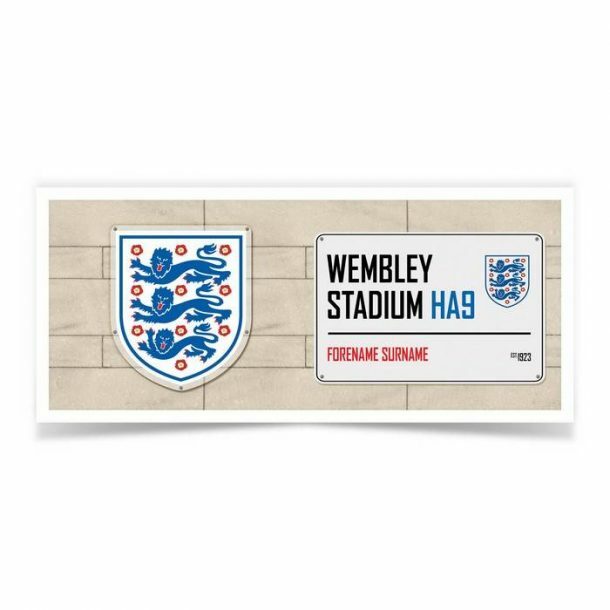 The official 3 lions crest also sits proudly on the mug. We print onto a high quality mug, which is also dishwasher and microwave safe. A fun and unique mug that is guaranteed to make your recipient smile!